Long before the two deadliest pandemics in history—the Plague of Justinian and the Black Plague—an ancient strain of the bacterium responsible for these scourges, Yersinia pestis, may have already wreaked havoc among Neolithic European communities over 5,000 years ago, according to a controversial new study. 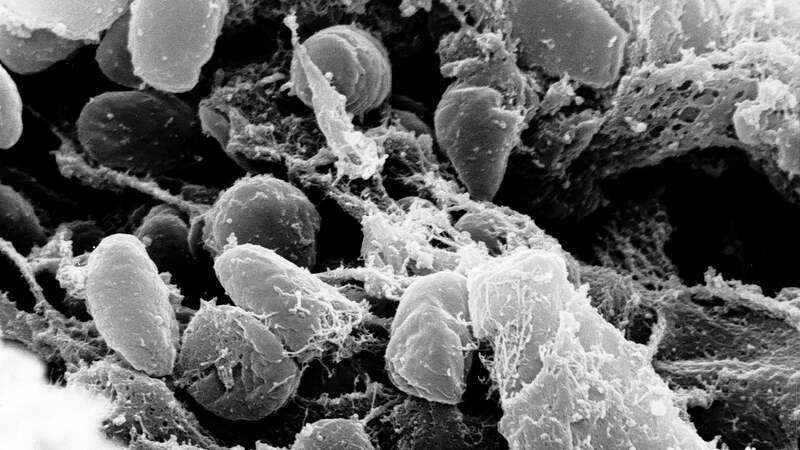 New research published last week in Cell describes a newly identified strain of Yersinia pestis, the bacterium that causes plague. The DNA of the new strain was extracted from a woman who lived in a Neolithic farming community about 4,900 years ago in what is now Sweden. The bacterium is unique in that it’s the oldest genome of Y. pestis ever discovered and, at a genetic level, it’s the earliest plague strain ever discovered. More controversially, the authors of the new study, led by metagenomics researcher Simon Rasmussen from the Technical University of Denmark and the University of Copenhagen, say this bacterium may have spread around Late Neolithic European communities, creating plague-like conditions that contributed to the decline of these settlements and setting the stage for the ensuing Bronze Age. What’s more, the plague was not introduced by settlers from the Eurasian steppe, the researchers argue, but instead had an eastern European origin. Other experts are unconvinced, however, saying more archaeological and genetic evidence is needed to support the claim. At the heart of this study is Yersinia pestis, the bacterium responsible for an unspeakable amount of human suffering. This pathogen, which spreads to humans through the bites of infected fleas, caused the Plague of Justinian during the sixth century AD, killing between 30 million and 50 million people—virtually half the human population at the time. The plague would return 800 years later, manifesting as the Black Death—a menace that killed 50 million Europeans from 1347 to 1351. Long before these episodes, however, the bacterium had already made its mark on human communities. In 2015, a research team led by Rasmussen traced the plague back to the Bronze Age, between 3000 and 1000 BC. Rasmussen’s latest work now pushes the origin of plague back even further, to the Late Neolithic. Rasmussen and his colleagues detected the ancient strain in a publicly available database of ancient DNA taken from the teeth of individuals found buried in Sweden’s Fralsegarden gravesite. While screening for specific sequences of the bacterium, the researchers stumbled upon the previously unidentified strain in the genetic material of a 20-year-old woman who died in Sweden between 5,040 and 4,867 years ago. The Gok2 strain, as it’s now called, was compared to bacteria that came before and after, revealing slight differences and some distinct similarities. Gok2 is too different from Y. pseudotuberculosis, the ancestral species from which plague diverged, to warrant the declaration of a new bacterial species. At the same time, the newly discovered strain is very much like the version of Y. pestis we’re already familiar with, containing the genes responsible for the deadliness of the modern pneumonic plague, for example (the plague manifests in two different forms, bubonic and pneumonic, the former being an infection of the lymphatic system and the latter being an infection of the respiratory system). Interestingly, the researchers found traces of the Gok2 strain in another individual buried at the same grave site—a 20-year-old male who lived during the same time as the woman. This could mean that both individuals died of the plague, and that an epidemic had taken hold of this farming community, the researchers speculate. As noted, the Gok2 strain is the oldest that’s ever been discovered, but it’s also the most basal. By basal, the researchers mean it’s the closest known strain to the genetic origin of Y. pestis—so it’s the earliest plague from a genetic perspective, appearing on a different evolutionary branch than other strains. The Gok2 strain, the authors say, emerged around 5,700 years ago, the strain that would go on to plague the Bronze Age emerged 5,300 years ago, and the strain still in existence today emerged 5,100 years ago. So at least three different versions of the plague were making the rounds in eastern and northern Europe during Late Neolithic, according to the new research, not to mention the ones we still don’t know about. This observation, the researchers say, could solve an enduring mystery about the decline of Late Neolithic communities. For reasons that still aren’t completely clear, Neolithic settlements—some containing between 10,000 to 20,000 people—began to disappear around 5,500 years ago. The decline could have been caused by Neolithic farmers who over-exploited the environment, or by incoming settlers (or invaders, depending on your historical persuasion) who brought the plague along with them from the Eurasian Steppe. But the authors of the new study say they have a better explanation: a Late Neolithic plague fuelled by the Gok2 strain, which originated in eastern Europe, and not the Eurasian steppe. The Y. pestis bacterium would have also started migrating along all the trade routes made possible by wheeled transport, which had rapidly expanded throughout Europe by this time, he explained. Eventually, the Neolithic plague arrived to Sweden via these trade routes, infecting the farmers of Fralsegarden. Importantly, an analysis of the 20-year-old woman’s DNA showed she wasn’t genetically related to the migrants from the Eurasian steppe—an observation which suggests the Gok2 strain was making the rounds in Europe prior to their arrival, and that Steppe Eurasians weren’t responsible for introducing the plague to Europe. It certainly makes sense, but more work will be required to confirm this theory. As the authors themselves admit, they haven’t actually identified the specific version of plague that could have terrorised the mega-settlements. “This group has published [a paper] on these very early plague strains before and they have a good methodology to verify whether the bacterium they are looking at is indeed an early form of plague, rather than still the ancestral bacterial species from which plague speciated, Y. pseudotuberculosis,” Schmid told Gizmodo. Johannes Krause, a geneticist at the Max Planck Institute, didn’t love the new paper, saying the authors didn’t actually identify the oldest genome. “They made a mistake in their study,” he told Gizmodo. Krause is referring to a strain that dates back to the same time period—around 4,900 years ago—and found among the Yamanya population (now Ukraine and parts of Russia), as described in a 2017 study, of which Krause is a co-author. It’s a nitpicky complaint, and a likely function of competing research teams. That said, Krause found it interesting that the new strain was found in a person “that does not have Steppe genes,” and that the strain belongs to a different branch in the evolutionary history of Y. pestis. Still, Schmid said the scientists presented an interesting new option—and it’s now time for other archaeologists, geneticists, microbiologists, and pathologists to do their part. 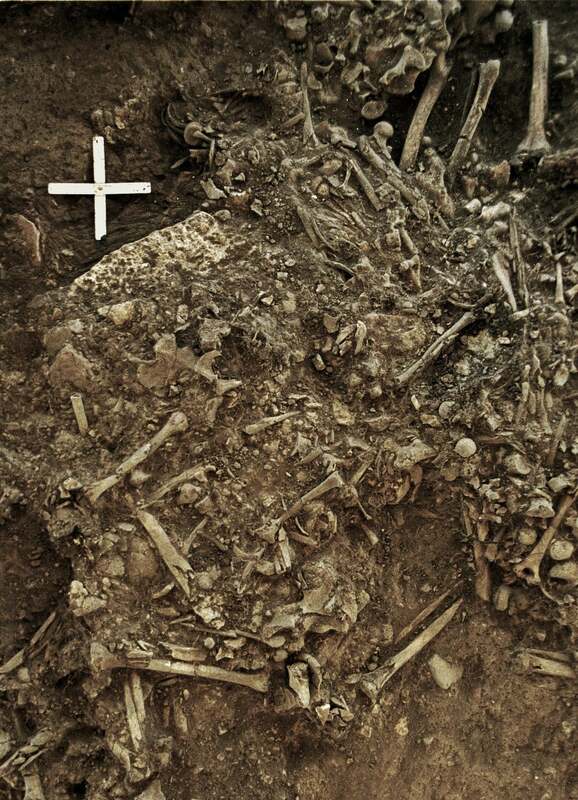 Indeed, the discovery of an ancient form of plague in two Neolithic Swedish individuals, while interesting, is certainly not enough to warrant the declaration a full-on European epidemic during the Late Neolithic. It’s certainly a compelling possibility, and a consideration now worthy of future investigation.